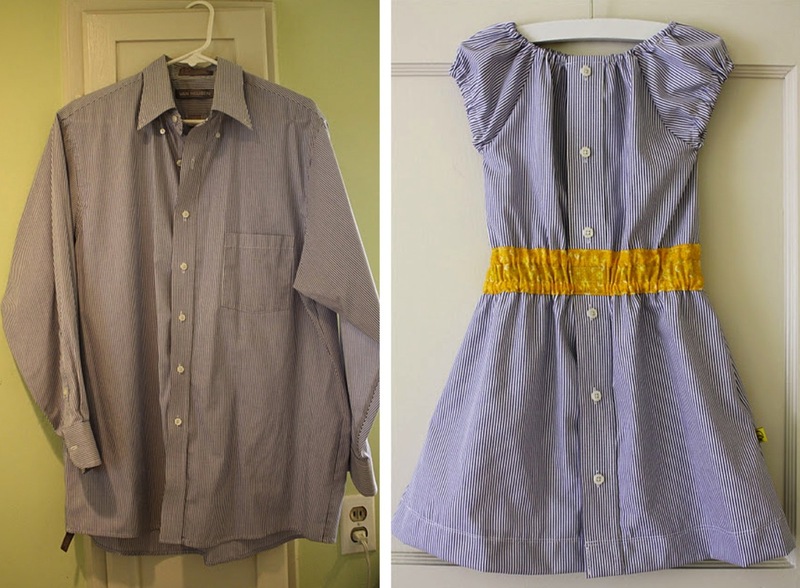 Inspired by Traci at Amazing Mae, this was an experiment to turn a men’s dress shirt into a summer dress for Goose. 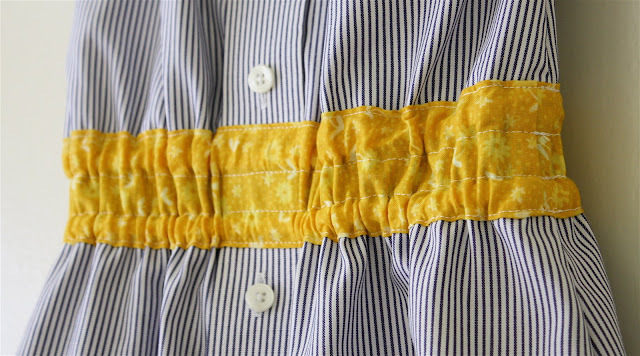 Some things I sew turn out fine. But some things work out wonderfully. And I’m in love with this little dress. 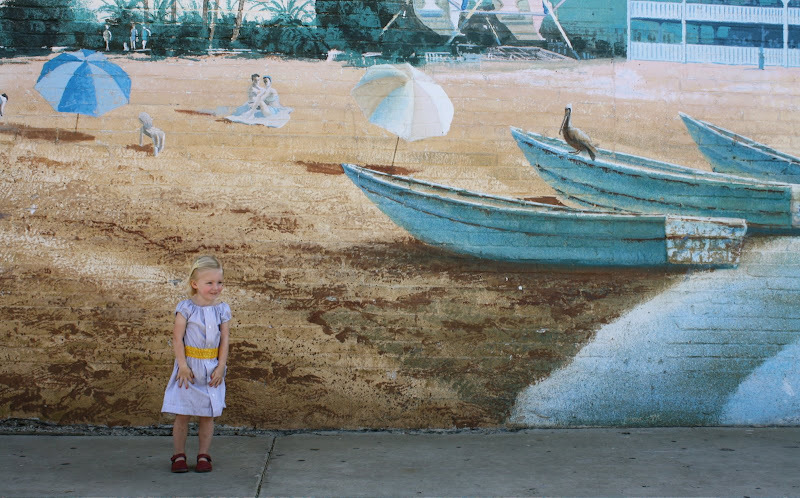 It was the perfect light-weight dress for our seaside outing. I removed the shirt pocket (which was fine and didn’t leave any holes or marks behind). I kept the front buttons in-tact, though the dress doesn’t open all the way because the neck is sewn all the way around for the elastic casing. 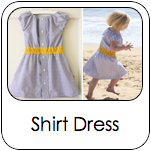 The dress fits great, my husband is pleased with the transformation, and it was so comfortably perfect for summer weather…..I want one too. Let’s hope the weather stays this great. 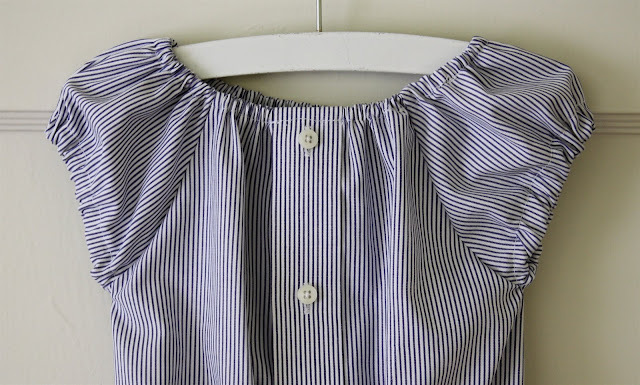 I like your blog about Seaside Stripes and Shirt Dress Tutorial.i am so excited by see of snaps of little baby.to good snap and design.really great post. Hi! I am in love with these shirt dresses. They are so gorgeous! The seaside stripes and the linen are my favorites but they are all so amazing. I would love to make a couple of these for myself as I think they would be equally awesome in an adult size version. 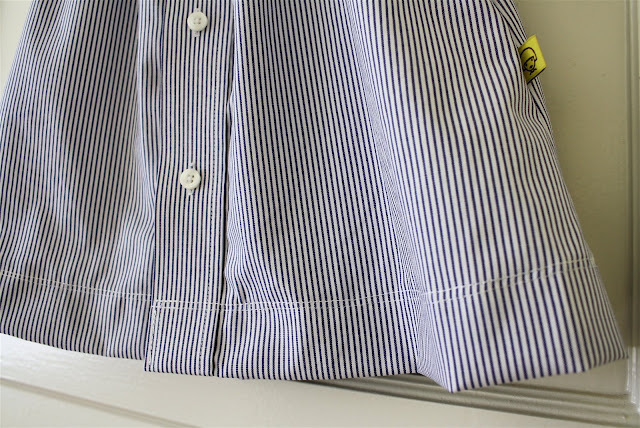 I have an abudance of 3xl up to 5xl men’s dress shirts and some basic sewing skills but not much beyond the basics! Lol! Any suggestions, tips, or advice on converting these patterns to an adult size? I am lost in the band. How do you sew the pieces together and still be able to string the elastic through? I’m new at this.